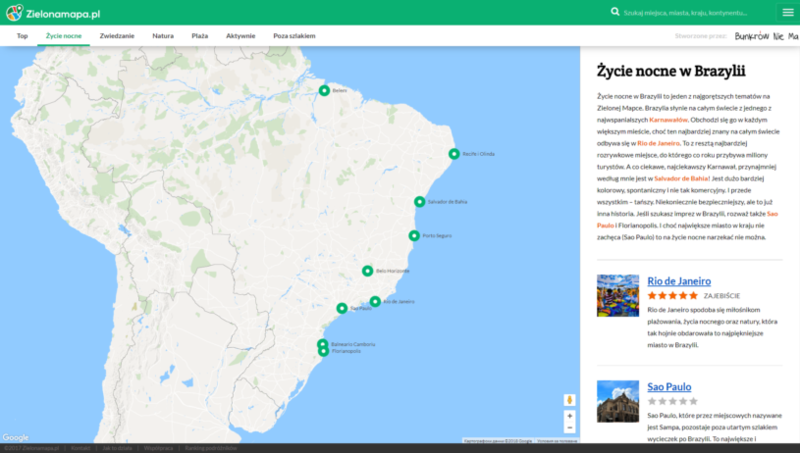 A personal project of our partner Tony, zielonamapa.pl (Green Map) is a online travel guide that covers over 3000 locations across the globe. 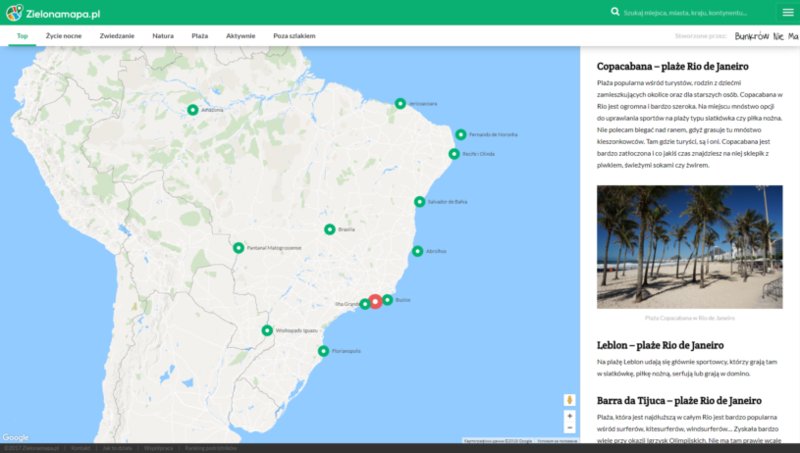 The navigation is map based and the tips and recommendations are suited for any type of tourist – you can find the best places for nightlife, outdoor hiking and activities, sightseeing, beaches, etc. The content is constantly updated based on user contributed content and frequent contributors are rewarded with special prizes such as postcards, unreleased travel histories, etc.